Biofilms are more common than most people think. They can be composed of the same strain of bacteria or a mixture of different organisms. Once the small colony forms, it generates an impervious armor composed of exopolysaccharides cross-linked with metal ions such as Magnesium, Calcium and even Iron. This armor makes the organisms in the biofilm resistant to doses of antibiotics that would kill their free-swimming brothers ten times over! I am going to make a statement that is similar to an atomic bomb in medicine: after years of study and research nothing exists in print that is extensive and offers advanced and broad treatment solutions to the hundreds of diseases made resistant to modern antibiotics by biofilm formation of their causal infectious agents. Common traditional MD medicine and functional ND medicine treatment options can be useless in the face of infections that form biofilms! The options of the infectious disease doctor—who can pretend to know all viruses, bacteria, and parasites possible in your world, and can never do so—are limited to drugs that are synthetic and FDA approved. We have to be honest that biofilms are not going to be removed by another antibiotic in most cases. In my pending biofilm textbook we discuss dozens of common sicknesses whose infectious agents generate a biofilm, and offer up to date options for use now or in the near future. I hope we are not too late for millions dying due to infections made resistant by biofilm formation, which makes care by many types of highly skilled brilliant healers all but useless. Why Invest Your Time on "Biofilms?" I was talking to my dear brother Paul the other day, and despite his immensely broad reading in science and medicine, after he read some excerpts from my pending book on biofilm solutions which are based on solid research of wide options, he was fairly shaken, and said, "Oh my heavens, this is deadly serious stuff!" Further, in contrast to other books, biofilm trouble applies to every age and every reader. Biofilms cause disability and death in conservatively tens of millions of people. This year you or a loved one may not recover to survive, or live life with full function because of an infection or infections that "laugh at the treatment" behind a wall of biofilm protection. Before I downsized my home, I had a pool that taught me the power of biofilms to make medicine useless. This is no trivial example. I had taken off 2 weeks from pool cleaning and a 3 by 3 meter area at the bottom of the shallow end had significant algae. Since no one was going to use the pool, I placed immensely powerful 4 inch solid round chlorine tablets right on the algae ... to no effect. It only bleached the paint lighter. So I added high potency acid that would rip off skin, also to no effect. Adding more chlorine, acid and algae killers did nothing. So since all was lost...in desperation and annoyance, I did something very radical—I read the algae product manual. It insisted that if the algae were not gone quickly, one must brush the algae very firmly. "Brush," I thought. "This is the age of technology and super science." So I left and came back the next day. The algae were doing the tango and eating bonbons. The chemicals that would kill a fish in ten seconds had no effect on the algae after 24 hours. In two minutes the algae was utterly obliterated. It was not slightly less. It was not mostly gone. It dissolved so fast that nothing remained. Why? I removed the thick clear film covering it, and all my poisons rushed in like a tidal wave. That is what my pending book is about: fighting infections by attacking this routine biofilm defense. I would like to share some ideas to start this process, since short posts are easier to finish than complete books. Where Are We Now with Medical Biofilms? Part of the resistance of infections to antibiotics is caused by biofilms more complex than the simple one the algae formed in my pool. These biofilms are more like advanced military fortresses than simple thin walls. We need stronger weapons to breach these walls. My contacts with top pharmaceutical companies in North America are not pleased with the outcome of good products in recent years. Companies are slow to invest in and launch new products, because if they cannot make money, there is no point. Unless drug companies can find a way past class action suits for every new drug they offer—why launch anything new? No new pharmaceuticals mean no new weapons in the arsenal of traditional medicine! Alternative medicine offers many options, but rarely offers rigorous analytical thinking regarding what part or parts of the treatment are of use. Generally, anecdotal evidence is reported, such as if patient Ms. Jones or Mr. Smith feels better, it must be due to _________________. The reason given is usually loose; it could be found by merely talking to someone who knows enough biochemistry or some other area of medicine to help derive the possible benefits, but this is rarely done, perhaps due to lack of time. It does not, however, stop comments laced with certainty merely from the person's position. I am sorry, but as a full-time medical reader, researcher, author and physician treating the failed treatments of smarter healers, I no longer have a crush on Ivy League, CDC, NIH, or anyone's filtered group guidelines, since the ones I know in many areas of medicine are poor to fair. I can appreciate the ideas of people whose positions are opposed to each other, and have no Medical "Pope" I follow. While you look out over the sea of biofilm presenters, listen and ponder, but realize some of the best information is not published yet. Physicians, scientists and energetic students: please read at least the last 1000 posts on PUBMED on biofilm or biofilm treatment before disagreeing with me. What has surprised and humbled me the most is that people who claim to be experts on G do not buy any books on G. They have finished learning about anything outside their own training, opinion and the views of their very select colleagues. That is not advanced medical care. I wish you all the best care, and not what a narrow behind-the-times "expert" with worthless titles offers or what an insurance bean counter in a corrupt insurance company allows. Dental plaque: the human mouth harbors about 25,000 species of bacteria, about 1000 of which reside in the dental plaque biofilm. Legionnaire's disease— found in cooling towers (used in industrial cooling water systems), domestic hot water systems, and spas. Additional sources include large central air conditioning systems, decorative fountains, domestic cold water, and swimming pools. Natural sources include freshwater ponds and creeks. 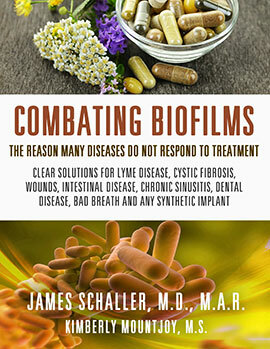 In contrast to other books this is going to offer a vast number of treatment options, because biofilms are omnipresent. And it might be simpler to ask what infections do not make biofilms rather than to ask which ones do make biofilms. The medical diseases and problems involving biofilms are likely over 100 major and often common illnesses. This is not a tangent in medicine or life. You have likely already buried relatives or friends who have already been harmed by biofilms. While the expression "biofilm" sounds flat and trivial, it would be a fool who believed this is either a "bio-" or biological category that is abstract, or thought of a "film" which is lifted off like Saran Wrap or skimmed off a pool—things easily removed. Biofilms are typically bacteria but can also exist in cancers and they make antibiotics a joke. IF RESISTANCE TO ANTIBIOTICS CONTINUES ON ITS CURRENT PATH—MOST OFTEN FROM USE IN ANIMAL FEED—AND BIOFILMS CONTINUE TO GROW IN FREQUENCY AND TOUGHNESS, WE MAY RETURN TO A TASTE OF THE PRE-ANTIBIOTIC ERA. THAT PAST WORLD EXPERIENCED MODEST BACTERIAL INFECTIONS KILLING PEOPLE ROUTINELY—AS A WEEKLY EXPERIENCE. THE "FILM" OF BACTERIA IS BETTER DESCRIBED AS A WALL OF STEEL FIVE FEET THICK GETTING HIT BY ANTIBIOTIC BB'S. Cover for upcoming book, in progress. My review of current articles in top medical journals reveals that the options are too limited, and only fairly creative. To most top clinicians I know, the speed of routine research medicine is too slow; too many years or even decades pass to get really new and superior treatments. They want safe options but do not want to only have six coloring pencils when twelve are possible. In my pending book I am going right to solutions. Period. Some are ready to be used now, and are already being used in different locations around the world. Others show effectiveness, but are not used often, because the average physician or healer cannot read 40-50 hours a week to pull out the pearls on this topic from vast numbers of papers. I am not going to write only to pure scientists and make a book that is in the hundreds of dollars range, and does not offer any "right now" solutions. However, I also add solutions that are emerging right now. They are possible roses but the flower is not in use yet, or only in a limited area, such as one type of sickness or one type of bacteria. The options offered now and the ones possibly coming in the next year often do not have dosing information. I have been surprised at the ignorance of healers and the gullibility and lack of common sense in people who feel that a person with seven medical problems should be treated exactly the same regardless of age, weight and general health status, as if the body's response and the strains of infections were all the exactly the same. Not even a fast food restaurant has one option for a protein meal, other side options, or drinks. Multiply that 30 item menu by a trillion and you are getting closer to the complexity of the human body and its response to infectious agents. Please also understand that many or most of these pathogens have effects on vast numbers of body systems, so checking four tubes of blood is a simplistic 1970s denial of the fact infections can domino through many biochemical human systems. Years ago I wrote a series of a dozen books for a potential few thousand readers. These readers wanted enough information to self-treat—easier said than to do. The cost to search extensively for a single emerging class of bacteria using all the best tests from three laboratories and extensive piles of books and journal articles is likely over $1500.00 USD. The book was a fraction of this cost, and reported that the treatment failure patients we have were showing very clear presence of this bacterium and other infections, hormone alterations, anti-inflammatory system drops and nutritional changes. In seven years it appears very few PhD's or MD's have made any major contribution to the research on this bacterium. My point is that I agree with a respected herbalist who offers some proposed herbal infection treatments, and I like the fact he lays out the real deal to readers, but he is firm that he expects them to act like adults. One aspect of maturity is expecting this book to replace extended hours with a top research and/or clinical physician. So if you get ten useful points from this book, which will be new, do not forget you did not know these pearls, and realize that for every sentence of gold, authors have perhaps read twenty hours. Finally, if you do not find every solution to all the ills of humanity feel free to return the book or order it from your local library through the interlibrary loan program. While I may write books someday in an attempt to make income, I have never to date written a book to make back a fraction of the income spent in buying books and the time spent in studying thousands of articles. So please do not confuse any book with the secret to all life. And if you feel I am the only "in the trenches" doctor who has ever said what I just said, you do not know the expectations of ill and financially struggling patients. Suffering can make you a better and more powerful person or it can make you bitter and entitled. When I have suffered I have done both. Let us both walk the high road with anyone trying to add ideas that relate to our medical interests and needs. Many years ago, I had six months to read articles on a new focused topic. I decided to read 40-50 hours each week on biofilms. I was impressed with the vast number of people doing research on biofilms before 2003 and the variety of options they had devised, particularly the dental research on the six spirochetes which live in the mouth and the hundreds of other organisms in the mouth biofilms. Years later, it was proposed that the spirochete that causes Lyme disease also formed a biofilm. I was surprised that this was debated, but "knowing" and "assuming" are very different from each other in science. I have enjoyed tracking the work of dozens of biofilm researchers, such as Dr. Eva Sapi who is a nice mixture of class, kindness and brilliance. I believe she is one of the best hundred researchers of the past century. 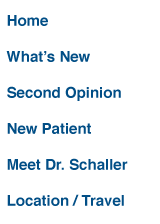 The material coming will list biofilm treatment options found in the literature. I hope they are of use to people who feel the destruction of biofilms creates greater success in the treatment of tick and flea borne infections. I also hope that physicians nationally and internationally may find some information of use in hospitals, nursing homes and other medical facilities. Yet my experience with my academic medical books is that 98% are read by smart, motivated and eager patients. This is one reason why we need to drop so much dead time for physicians. How can they read even five hours a week, if they have to call insurance companies and argue for a treatment or a test? How can they read about new options when they must see 4-12 people an hour to make a living? Do you really want meager minds as the healers in the coming decades? Aggressive medical board political "appointees" rarely have the time, skills or broad knowledge to do medical oversight well for an entire state. The nonsense of trivial medical malpractice suits brought against honest, hard-working physicians needs to be stopped or you will find the students in the middle of the class becoming the medical scientists and physicians of the coming decades. One of the errors about biofilms is that they are fairly similar. So if treatment a, c and m work on a wound or lung infection biofilm, it will work on all others. Just like human outer clothing, the biofilm clothing of an infection is highly specific in design to the bacteria. If we imagine this year a 1000 dress designs will be made, perhaps it is fair to say 1000 biofilm designs also exist. New and mature biofilms are not the same. Metals can be merely on the surface or throughout the film. The biofilm structure differs depending on the infection. The components of biofilms differ depending on the infection. Response to enzymes is variable. Response to essential oils is variable. Response to antibiotics is variable-both synthetic and herbal. The available materials to build the biofilm vary between species and within species: a dog biofilm will be different than a human biofilm even if it is composed of the same bacteria. A healthy man on supplements and a man that eats rarely and has many diseases will not have the same biofilm. 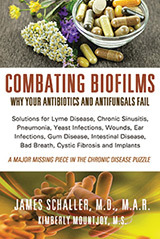 It would be an error to say that nattokinase, lumbrokinase, serrapeptidase, EDTA, gentamycin, vancomycin, Samento, Banderol, clove bud oil, or a vast range of other options not listed, will work for all biofilms. For example, an elderly patient dying of a lung infection or another person with painful and treatment-resistant sinus infection will not have the same biofilm. However, as a trend trying different options to destroy a biofilm is less dangerous than allowing an infection to spread.